I was going through some old photos today and found some that I like that I never done anything with, or even really shown anyone. I am going to post a few in the upcoming days. For the first set I have decided to show a handful of images that were taken in March 2008 on a trip to San Francisco and Point Lobos. 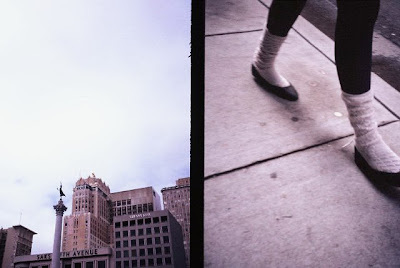 You get a two for one deal--I shot these with a camera that my friend and camera connoisseur, Sam Milianta, gave me: a classic Olympus Pen EE-2 half frame camera. It splits a regular 35mm film frame in half. Why? 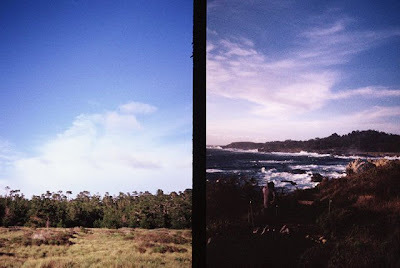 Because diptychs are cool. 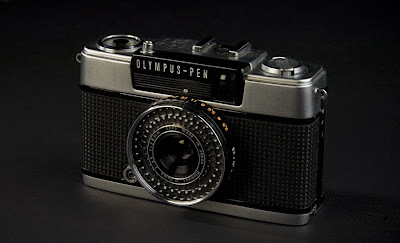 The actual camera that I used for these photos (I shot this photo too). 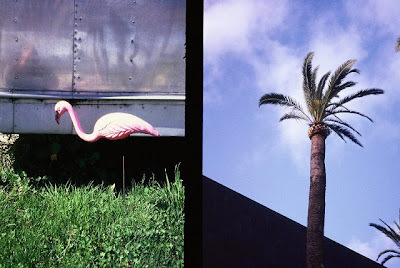 All images from the same roll of Agfa Precisa 100 transparency film. These are great. What an awesome trip! 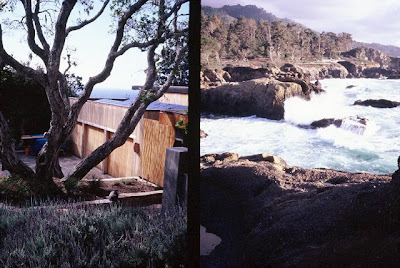 The Carmel Highlands tree/house shot is my favorite. That last shot is awesome. Half-framing is fun! The half frame cameras are rad, that's what my mom used to use. So are you mainly shooting with your Nikon or film cameras these days? Oh and thanks for reminding me that I am doomed to have twins. But I have heard that it skips a generation, so who knows.